One of the first steps you’ll need to take before starting your blog is choosing your platform. There are dozens of different options out there, and deciding which one is right for you depends on what you are looking to do with your blog. In this article, we will go over the best blogging sites, and when to use each. To start a blog, you’ll not only need a website, but a hosting platform as well. We highly recommend you check out Bluehost, where you can host your WordPress site for only $2.95 a month. Click here to check it out. If you are looking for a platform to share your travel experience with friends and family, or to write about your personal experiences, then you are probably looking for a blogging platform that is free and easy to use. For hobby bloggers, we recommend using WordPress.com, which is the hosted version of WordPress. This means that all you have to do is sign up for an account to get started. This differs from WordPress.org which is the self hosted version of WordPress. With WordPress.org you have to download the software and host your site through a third party hosting provider, such as Bluehost, which we’ll discuss below. Personal ($2.99 per month) – Includes a free custom domain name to use for your blog. Premium ($8.25 per month) – With this plan you are allowed to monetize your blog. Upgrade ($24.92 per month) – Ability to integrate your site with Google analytics and remove WordPress.com branding. However, if you think that you are going to want to have any of the features that are included with a premium WordPress.com plan in the future, then you’re better off starting with WordPress.org. Transitioning your blog from WordPress.com to WordPress.org is possible, but suprisingly difficult. Plus, starting with WordPress.org will get you almost all of the features that you get with the Upgrade plan for only $2.95 per month. 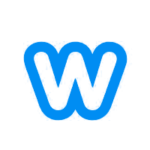 Simply download WordPress.org and host your site through a provider like Bluehost. If all of this WordPress.com and WordPress.org talk seems confusing, that’s because it is. The simplest way we can explain it is that WordPress has two different products, WordPress.com and WordPress.org. Your blog on WordPress.com is owned by the company who owns WordPress, Automattic. Their other product, WordPress.org, is the open source version of WordPress, and is free downloadable software. Once once you download WordPress.org to your server, you own and control your site. 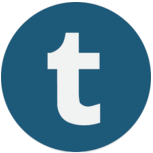 Free and easy to use – The platform is completely free to use, and since it’s designed to be used for blogging, adding posts is very easy to do. Don’t have to worry about website maintenance – Security, hosting and backups are all included. Large support network – Since WordPress is such a popular blogging platform, there are tons of resources out there to help you if you run into any problems with your blog. Limited number of themes and plugins – Themes dictate how your site looks, and plugins expand your blog’s capabilities. With limited themes, you’re unable to have your blog look exactly how you want. Instead, you are restricted to around 100 premade designs. With limited plugins, you may not be able to do things like connect your email software to your website or sell products on your blog. Limited monetization – You’re not allowed to sell ads on your site until you receive 25,000 page views per month. Then you must apply for ad control, which is free to apply for, but you have to split the ad revenue 50/50 with the creators of WordPress.com. 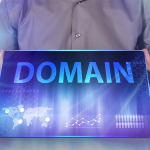 Costs extra to have a custom domain – You will have to pay at least $2.99 per month for a custom domain name (ex: yourblog.com vs. yourblog.wordpress.com). Though it’s fine to not have a custom domain if you are only using the blog for personal use, if you want to be taken seriously it’s important to not use a WordPress subdomain. You don’t own your website – This means that WordPress can shut down your website if they feel like you are violating their terms. They also can show their own ads on your website, that you will not see any profit from. This category is for people who are serious about creating a blog that is infinitely expandable. This means you can take your blog in multiple different directions depending on how things progress. For example, if your blog gets a big enough following, you may want to sell merchandise, create a custom look for your blog, or upload weekly webisodes. All of this and so much more is possible with WordPress.org. Basically, the sky’s the limit. Plus, if you don’t have the skills to do this, you can easily find coders with WordPress expertise to help you out. WordPress.org is a free, downloadable platform. The only cost associated with a WordPress.org blog is the cost of hosting, which you can get for as low as $2.95 per month with Bluehost. 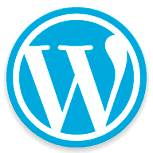 We highly recommend using WordPress.org for your blog. It’s the most popular blogging platform, and what we use here at Fit Small Business. There is a slight learning curve with WordPress.org, however if you are comfortable with computers, there is no coding experience required and you should be able to figure out the platform in a couple of hours. We have a free guide on how to set up your WordPress.org site to help you get started. Unlimited customization capabilities – WordPress.org is an open source platform, which means that thousands of web designers are constantly working to create better add-ons for WordPress blogs. If you want your blog to have a certain function, it is most likely possible, and even better the costs for adding functionality are typically little to none. Complete control over your website – You own your blog, so there is no risk of the blog site shutting down and taking your blog with it. Ability to monetize your blog – This is a major perk if you want to start making money from your blog. You don’t have to meet any requirements or share the revenue with your blog host. It’s not completely free – Though it’s free to download WordPress.org, you will need to pay for a company to host your blog. If you go with Bluehost, the cost is relatively small (as low as $2.95 per month). Steeper learning curve – If you have little technical expertise, it will take a bit longer to set things up. That being said, there’s no coding experience required and there are tons of guides out there to help you get started, like this step-by-step guide we wrote. Need to maintain your blog – You’ll have to complete frequent updates and make sure your website is secure. If you don’t properly maintain your blog, then you will have issues with your website. This category is for bloggers who want to be able to share their content with a large group of people, without having to put in the time and effort it takes to build up a significant blog following. All three of these platforms work as social networks, connecting you with other bloggers in your field of interest. No setup involved – You don’t have to modify the design of your page or configure your posts. Once you login, you can begin publishing right away. Linking to existing network – Plugging into an existing network will make it easier to build an audience. You can easily share your content with other users of the social network. You don’t own content or platform – Therefore, if the network shuts down or falls out of favor, your content and or following will be lost. Not able to monetize blog- These social networks have full control of your blogs, and can show ads on your content that they solely will generate income from. Tumblr’s specialty is short form posts. Most people use the platform to post images, quotes and GIFs. Though you can post longer content, it’s best used for microblogging. It’s easy to get started, and it’s also really fun to look through other bloggers’ posts. You are prompted to pick four categories that you are interested in when setting up your account, so that these types of posts will show in your newsfeed right away. Choose your interests to have content appear in your newsfeed. Medium has a similar structure to Tumblr, but is geared towards longer form posts. Millions of bloggers use the platform to stare stories and posts. If you don’t want to fully commit to creating your own blog, but want to test the waters, then Medium is a great fit for you. 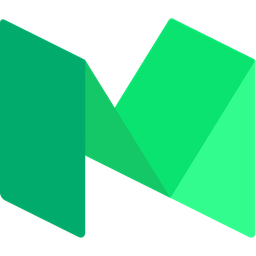 There’s no cost involved and by using Medium’s network, you’ll get instant readership to your posts. Plus, if people like your article, Medium allows readers to share on Facebook or Twitter. 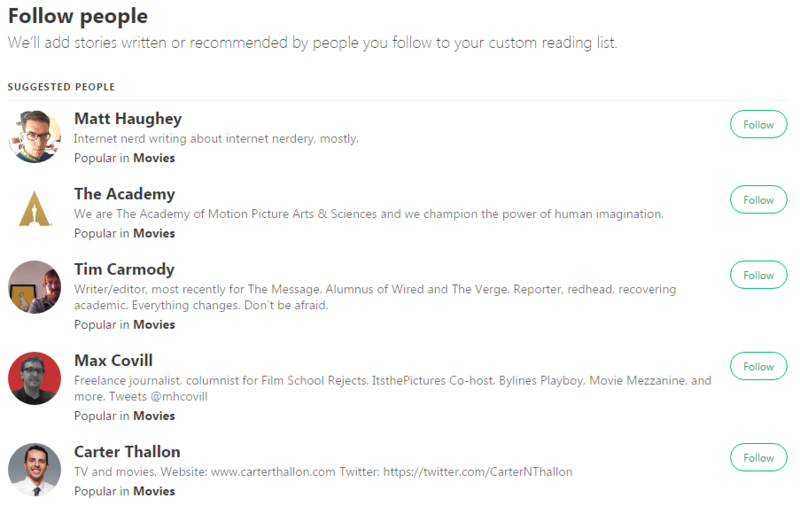 Follow profiles on Medium that write about your topic of interest. 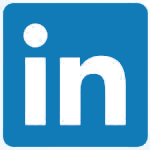 Most people think of LinkedIn as the business networking social media site. However, in the past few years, LinkedIn added a feature where anyone can publish content on the site. Publishing on LinkedIn is very easy to do, and can enhance your profile while demonstrating your expertise in your field. This works well if you are posting on behalf of your company, or if you are a consultant who wants to demonstrate their ability to help others in your field. For less technologically savvy businesses owners who want a blog as part of their business website, this is the category for you. 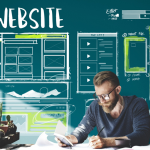 Website builders are out of the box solutions with web hosting, domain name and website all included, and our recommended website builder is Weebly. Though Weebly is not built for blogging, you can easily include a blog as a page of your website. Our recommended plan for small businesses costs $12 per month, and you get a well-designed, responsive, search engine friendly website with a custom domain. Easy to use – With drag and drop features, the website builder is super intuitive. Simply drag what you want to add to your website (ie: text box, image, contact us form) from the right side of the dashboard, and drop it where you want it on your site. Control over your website with your own custom domain – Includes a custom domain with the $12/month package. Multiple plugins and integrations – Easily integrates with multiple email marketing software, credit card processing services, and social media sites. Not built for blogging – Though you can add a blog to your site, Weebly wasn’t built with blogging in mind. Limited customization options – You are limited to the amount of HTML coding you can do on the site. This won’t be a problem if you are not interested in touching code. More expensive – At $12 per month, this option is more expensive than the rest of the blogging sites in this guide. Check out a head-to-head comparison of Weebly vs WordPress. When choosing the best blogging site, you’ll have to take into consideration not only what you want to do with your blog now, but also what your blog could turn into in the future. If you think there’s a possibility that you’ll want to monetize your blog, or custom brand it, then save yourself the time and effort later, and learn how to get started with WordPress.org today. However, a social network might be a better fit if you want to get maximum exposure in a short period of time. If you know that your blog will just be for personal use, then go with WordPress.com. And be sure to check out Bluehost, which will host your blog for only $2.95/month. very nice and good helpful post thanks for sharing. i like your post. This was incredibly helpful. Thank you! Thanks for dropping in, happy to help! Be sure to check out our marketing section for tips on promoting your blog & getting more traffic. Thought I’ve always been a loyal WordPress user (and still am) the built in community of Medium and distribution that comes with it is tough to beat. Even without a single social share or owned audience via email updates, etc. you’ll still get readership especially if you reciprocate. Tough to beat at a time when getting traffic and readers is tougher than ever. That’s true, thanks for sharing!